I love the fit, no break-in period needed. The protection is very good and I'm able to move around comfortably on the bike. Also love the follow up program of cleaning and protecting the suit after purchase. I own both the Core and Core 2 420mm back protector. And, these fit perfectly under my Pilot Evo suits. Pilot armor is slim form factor and works perfectly with your existing Pilot suit measurements- i.e. 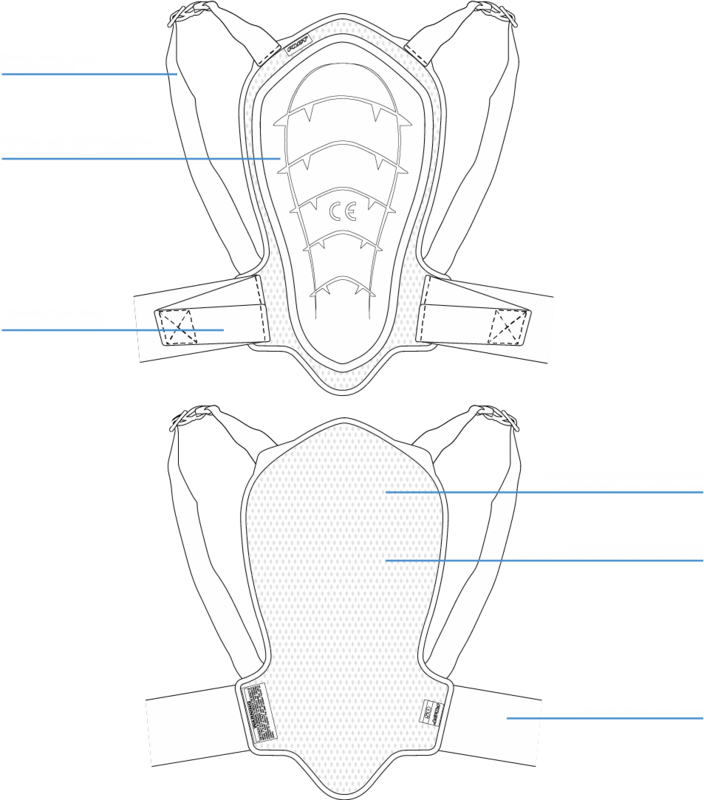 you do not have to adjust your Pilot suit size to accommodate for the Pilot back protector (and chest protector, for that matter.) The Pilot back protector is slim, comfortable, and once you get it on you forget it's there. My only criticism is that it lacks a tailbone protector. To solve this issue, I bought Icon 3DO hip armor (with pouches) and simply sewed that onto the bottom end of the Core & Core 2 to extend the coverage a bit. Inside the suit, it also disappears. The only time I feel the 3DO armor is when I'm standing up. I have not yet crash tested this, but I've been satisfied with everything else about it. Fits very comfortably under my jacket, and is CE 2. If I had one complaint, I do wish it extended down a little further to protect the tailbone. Still, great value!